At KNGS we take pride in our beliefs that learning is best supported when all involved play an active role in supporting the learning journey of our girls as they progress through the school. We take every opportunity to celebrate success and to provide appropriate challenge and support. We encourage the girls to set and aspire to achieving their own high level targets for both academic and personal growth. There are year-specific parents’ evenings during which parents and carers meet with individual subject teachers to discuss their daughter’s progress. There is a review day in January where parents and carers can meet with form tutors to reflect on progress since the previous end of year report and set targets for the rest of the year. A key to communication between school and home is the girls’ planner. Here parents and carers can check comments written by staff and send in their own written messages. 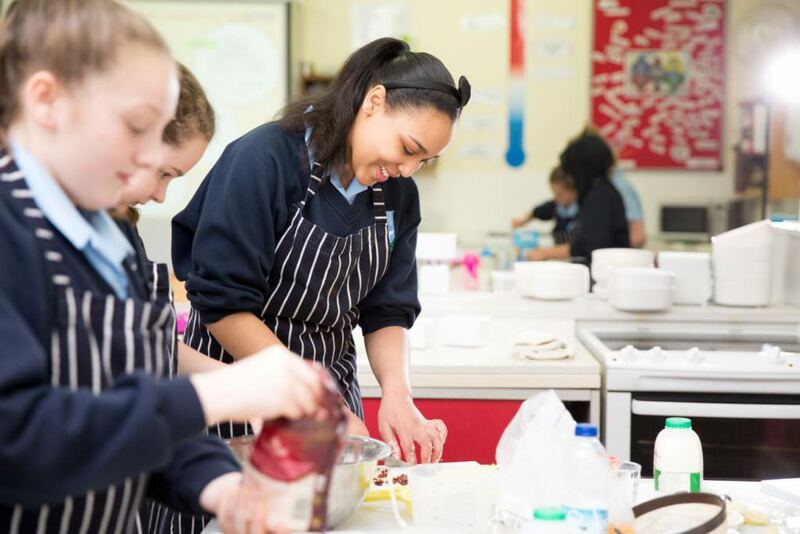 Parents and carers can also see what Home Learning has been set by the teachers and support their daughters in ensuring it is completed to a high standard. There are also specific celebration opportunities that parents and carers will be invited to during the year. Contact via planners, telephone, text message and email is also used by the school to communicate with home about learning, attendance and punctuality as required. The school welcomes communication from home about any issues which may impact on learning. Parents and carers are also welcome to come in and talk to us at any time. Student Share files are now available via the Web Drive on the KNGS Portal. More files to follow.